Fifteen years ago, Mike Piazza delivered a post-9/11 “homerun for the heart,” solidifying his place in one fan’s heart. But when he left the team so did her loyalty — until, years later, a grad-school decision prompted a family outing to a game. Although I was too young to remember, residents of my hometown in northern New Jersey, 30 minutes from Manhattan, scrambled to a mountaintop to watch the raising cloud of smoke in the distance as the World Trade Center burned to the ground. My dad was driving on Route 3 near Secaucus, New Jersey when he watched the plane hit the South Tower from the other side of the Hudson River. Beyond the stunned residents, the events of 9/11 transformed police officers and fire fighters from the area as they traveled to Manhattan to volunteer sifting through the rubble. I even remember my classmate’s mom picking him up while covered from head to toe in soot. 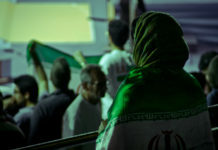 That healing began just 10 days after the attacks. Baseball returned to the city as the New York Mets faced their bitter rivals the Atlanta Braves. It was the first post-9/11 major sporting event in New York and the Mets first home game at Shea Stadium on September 21, 2001. As a Mets family, we gathered in the living room. My dad sat on one couch; my mom, on the other. My dog took to his comfy cave under the coffee table, and I sat next to him, resting my back against the coffee table. The ceremony at the start of the game drove my mom to tears. Marc Anthony sang the national anthem, and then-mayor and devoted Yankees fan Rudy Giuliani received two standing ovations before the game started. The Mets and the Braves embraced each other on the field in solidarity. Diana Ross sang God Bless America and bagpipes played Amazing Grace. All of the players wore New York City Fire Department caps. Much has been written about this iconic and historic moment in the life of the team, the city, and the nation. “It’s [sic] just kept going. … Soaring off into the New York night. A baseball carrying an entire city’s emotional baggage,” ESPN poignantly said. That one crack of the bat gave New Yorkers permission to smile, clap, experience joy, and it made the person at bat a cultural touchstone, a hero. As proof, the jersey Piazza wore sold at auction for $365,000 to three Mets fans. It will be on rotating display at the 9/11 Memorial Museum, Citi Field, and the Baseball Hall of Fame. This summer fans saw it at Citi Field when Piazza’s number was retired. It also made it to Cooperstown to greet Piazza when he was inducted to the Hall of Fame in June. As a 7-year-old Mets fan watching the game that night, the significance of 9/11 escaped me. But I understood the importance of Piazza acutely. In fact, it’s safe to say my family worshipped him. Every sport my sister and I played, we wore 31. Even my dad had a number 31 put on his Boston Bruins hockey jersey to commemorate Piazza in a sport he doesn’t even play. The same year he hit that emotional homer, I dressed up as Mike Piazza for Halloween. My mom took a Sharpie and drew a goatee on me, which, as an aside, took mounds of dish soap and considerable elbow grease to remove. I wore a helmet, carried my softball bat, softball glove, and wore my softball pants and Piazza jersey as I paraded around town. 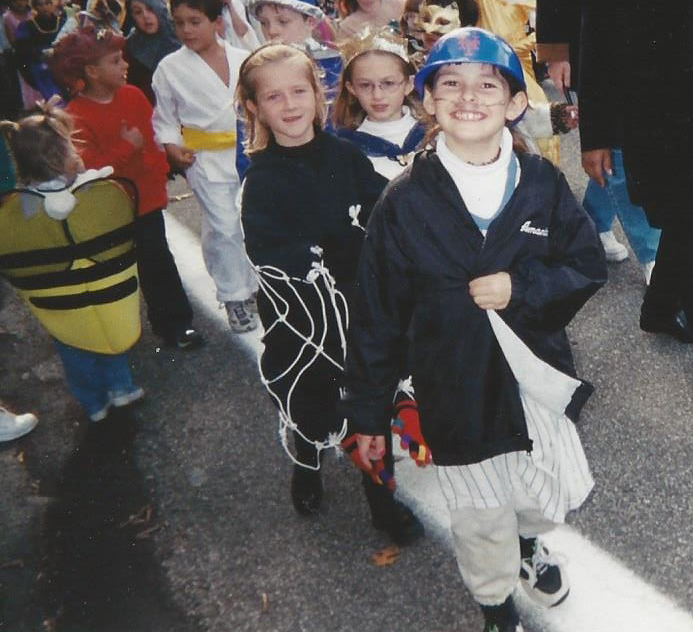 Amanda dressed up as Mike Piazza for Halloween, a month after his iconic home run (photo courtesy of Dora Silvestri). Supporting the Mets was always a family affair. I still remember watching them play with my family in Shea Stadium. We would sit in the upper deck, and the players looked like ants swinging bats and tossing balls. As a kid, I enjoyed the feeling of watching the game in what seemed like the clouds. Despite the elevation, you could still hear the crack of the bat and the pop of the glove. My Mets cap was always too big, routinely falling and covering my eyes. I still remember the ritual of pushing up my cap, looking down on the field, and feeling the summer breeze on my face. My dad always bought me a scoop of ice cream that arrived in a small, plastic baseball cap. Sometimes we’d grab a hot dog, and I’ve never tasted one better than the ones we shared there. I always wanted to catch a ball, but our perch up high in the stadium meant that dream was never going to happen. I still brought my glove to every game. Just in case. The excitement and wonder had evaporated. It felt like trying to make things work again after a bad breakup. But when Piazza filed for free agency and left the team in 2006 to go play for the San Diego Padres, my interest dwindled fast. 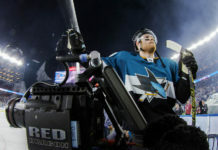 I went to games, but not nearly as often, and when I did manage to go, I hardly knew anyone in the lineup. There were memorable players like David Wright, the current poster child for the team (he’s also affectionately known as “Captain America” for being both the Mets and Team USA’s captain in the World Baseball Classic), and Ike Davis, who has since been traded, but it didn’t feel the same. The excitement and wonder had evaporated. It felt like trying to make things work again after a bad breakup. In fact, Wright and Davis felt like rebounds. I only loved the idea of them. It didn’t help that Citi Field replaced my beloved Shea Stadium in 2009. The players didn’t look like ants anymore. Sure, the new ballpark is gorgeous — from the Jackie Robinson Rotunda to the sightlines of Manhattan in the background — but it felt sterile and unfamiliar. And it wasn’t filled with my childhood memories. Those were sealed behind glass in the team’s museum at the entrance of the park. But a decision to apply to graduate school changed things. I was accepted to Syracuse University last year, and as I scrolled through the school’s website, I noticed an announcement for “Syracuse Day” at Citi Field the week before classes started in July 2015. I showed my parents, and they decided to buy tickets, which included a meal, free cap, and seats for what would be my favorite Mets game. The previous night’s game was rained out, which meant a double header. On top of that, the free Steve Miller Band concert also was rescheduled for the following night. It was shaping up to be an eventful day. We got there early with our tickets, entered through the bullpen gate, and bought hot dogs, burgers, and snacks before we picked up Lucas Duda (1B) posters and sat in our seats. I high fived Otto the Orange, Syracuse University’s fuzzy, round, overly exuberant mascot, and we watched the Mets finish their game against the Cincinnati Reds, winning in the 13th inning 2-1, with a rain delay in between. After a two-hour break, the second game began. I asked my mom who was pitching, and she told me it was some rookie from Las Vegas. I was less than optimistic, even if it was against the Reds, a team who finished 2015 in last place in their division 64-98. I was wrong. Steven Matz, a Long Island native, was making his major league debut. I didn’t know anything about him, and looking back, I wish I did. His first pitch was ruled a homerun, and from that moment on, he only allowed one other run. He drove in 4 of the 7 runs of the game for a 7-2 win. With each at bat, we all stood up and screamed until our lungs surrendered. The entire stadium shook with excitement each time he reached a base. We were as floored as the Reds were. After the game ended, we watched the concert at field level and finally went home after a whopping 13 hours at Citi Field. I didn’t want the day to end. When we got home, I wanted to relive every moment of the day and plopped on the couch to watch the Mets’ television announcers Gary Cohen, Keith Hernandez, and Ron Darling react to Matz’s debut. I wanted to learn more about pitching so I could better understand Matz. I searched on Wikipedia and MLB.com in between watching hours upon hours of YouTube videos meant to teach Little League players how to pitch. This excitement felt new and yet familiar, something I hadn’t experienced since Piazza. I researched Matz to learn more about him, and in doing so, I started to educate myself about the stats that quantify and evaluate pitching. I couldn’t get enough. It felt like a challenge: Why did he throw the pitch like that? Why did he choose that pitch? What do ERA and WHIP mean? I wanted to learn more about pitching so I could better understand Matz. I searched on Wikipedia and MLB.com in between watching hours upon hours of YouTube videos meant to teach Little League players how to pitch. As he learned how to navigate pitching in the majors, I learned how important pitching was. When the Mets clinched the World Series last year, I began my search for tickets. I didn’t care if I had to go alone. I knew I had to attend at least one game. The two games at Citi Field were October 30 and 31. So I gave myself a birthday gift and bought one for the Halloween game. The standing-room-only seat cost $700. The minute after I printed out my ticket, the team announced the pitching rotation for the series. Game 1 was going to be Matt Harvey, Game 2 was Jacob deGrom, Game 3 was Noah Syndergaard, and Game 4 was Steven Matz. My ticket was for Game 4; it felt like fate. I still remember my heart skipping a beat when I went back to double check and make sure I wasn’t seeing things. Going to the game a week later, I took the train into the city because I knew it was going to be absolute chaos driving in. On the train from New Jersey to New York, fans cheered and passed around beers to each other. Kids were dressed up as The Dark Knight of Gotham and Thor, the nicknames for pitchers Matt Harvey and Noah Syndergaard. From the moment I stepped on the train to when I walked toward the stadium from the subway, mobs of fans crowded every station, every train. They all chanted “Let’s Go Mets” at the top of their lungs. The stadium was packed at a level that I had never seen before. We reared up the escalators like sheep to our designated places. 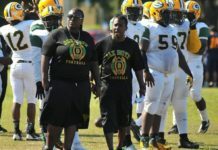 I carried a Nikon D7100 around my neck and used the zoom to get a closer look at the players on the field. I only cared about getting photos of Matz mid-pitch. Being a part of that collective fandom ignited my Mets pride and helped me reclaim my enthusiasm and commitment to the team. 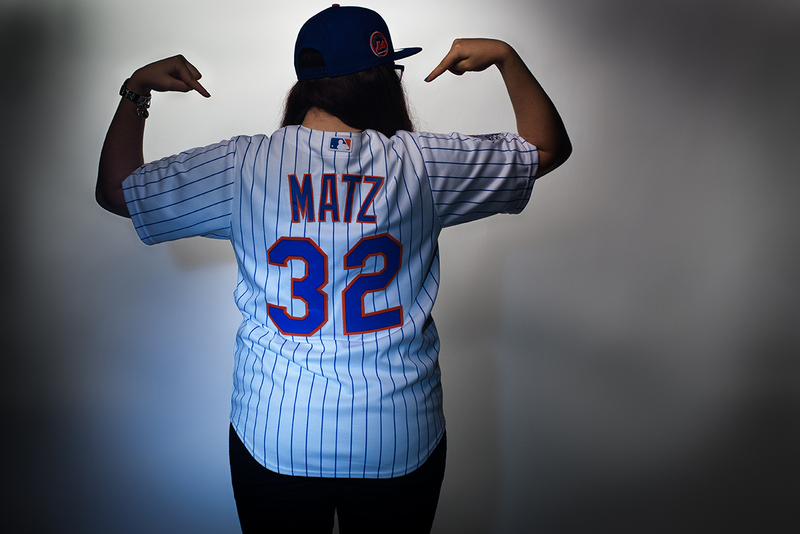 Amanda repping her Matz jersey (photo credit: Jasmine Purdie). The game was blistering cold, and every seat at Citi Field was sold. Several hundred additional fans crowded the standing-room-only section. But not even the people with tickets for seats actually sat during the game. I stood in the mezzanine level of left field, wearing a scarf, gloves, hat, and long winter coat. I screamed my head off every time Matz struck someone out. His command with the curveball was superb. This was a guy with only nine games at the major-league level under his belt, striking out player after player on the Kansas City Royals, the team that won the World Series. After he left the game in the seventh inning, the Mets lost, and thus, he had the loss recorded against him. But, for me, that fails to detract from the fact that he pitched a gem. He only gave up three runs to what would end up being the World Series champions. Standing in the mezzanine on that cold October night, I took a moment to feel the wind on my face, savor the taste of the ballpark hotdog I held, and enjoy the excitement of rooting for my team and my player. Matz and that night of the World Series brought me back to my first few games at Shea, and I even began to feel a little bit of love for Citi Field — even though at this point, it had hosted its first ever All-Star Game, playoff games, and World Series since opening in 2009. I wear 32 (talk about coincidence) proudly because Matz demonstrates his greatness on and off the mound. He spent Thanksgiving volunteering with kids in Honduras as part of Pastime for Patriots, and he is known for inviting 32 firefighters and military personnel to games for free during Wednesday home games, part of the Tru 32 program he started last year. When he was recovering from his first Tommy John surgery fresh out of high school in 2010, he thought about his other career options and decided that if he wasn’t going to be a baseball player, he wanted to be a firefighter. He is quiet in the clubhouse and a perfectionist on the mound. There’s not much you can hate about the guy — much like Piazza. Yes, they lost, but my Mets (and my Matz) pride remained. It felt good to be a true fan again. As I drove back to Syracuse, N.Y., my radio reception slowly faded as did the last game of the World Series. I popped in a mix tape of The Feelies and the Decemberists, but I struggled to listen. In my mind, I replayed each of Matz’s pitches — the sequences he chose, how the batters capitalized on his mistakes, the inevitable loss of the game. Yes, they lost, but my Mets (and my Matz) pride remained. It felt good to be a true fan again. As the malls, warehouses, and fast-food restaurants shifted to rolling hills and dairy farms, I began to think about spring training. As the forests of trees glowing with the reds and golds of autumn passed by my driver’s side window, I began to imagine the day Matz would return to the mound. The late Rogers Hornsby, a baseball player for the St. Louis Cardinals, once said, “People ask me what I do in winter when there’s no baseball. I’ll tell you what I do. I look out the window and wait for spring.” I know exactly what he means. Amanda is a graduate student at Syracuse University where she studies journalism. Her favorite teams are the New York Mets, Toronto Blue Jays, New York Rangers, and Tampa Bay Lightning. 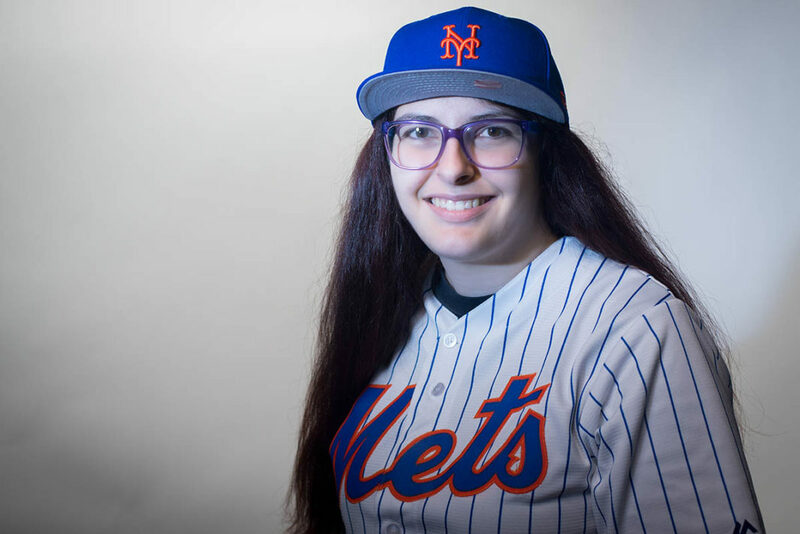 When she isn't obsessing over the Mets' pitching rotation (link story) or gushing over Steven Matz, she is a freelance reporter for Downtown Magazine in North Haledon, NJ. 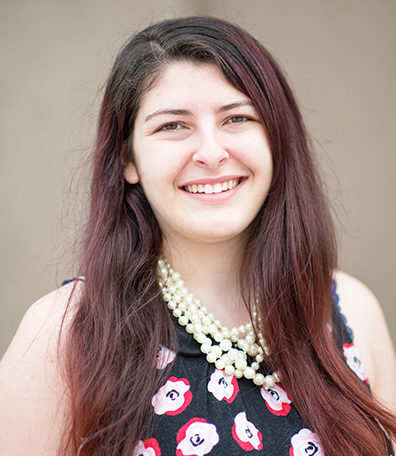 She is the former editor of Global Young Voices, the Equinox at Fairleigh Dickinson University, and contributing writer for the Daily Orange.